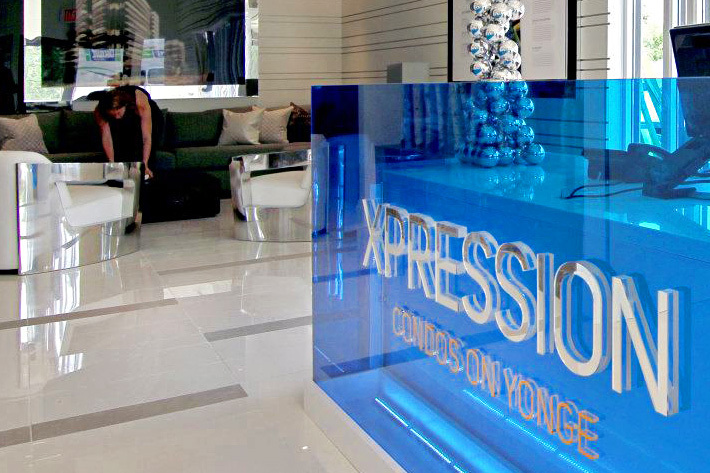 ArtSigns produced this project in co-operation with Solution Worx and Tomas Pearce Interior Design Consulting Inc. This condominium showroom and sales presentation center features impressive mirrored letters with polished black edges and clear edges to give them that classy chrome letter look. This combination complements the post-modern reflections of the glass and mirror interior decor. 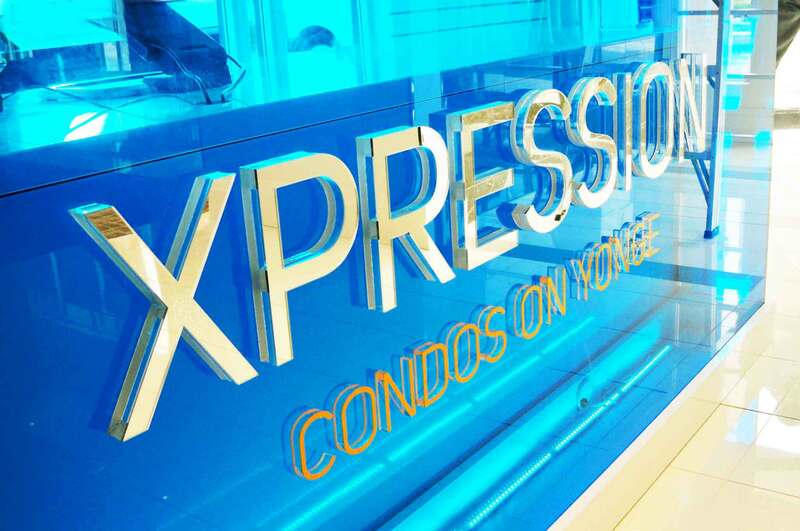 Condo seekers are inspired by the sleek lettering and sign design which speak directly to their taste in high class condominiums. 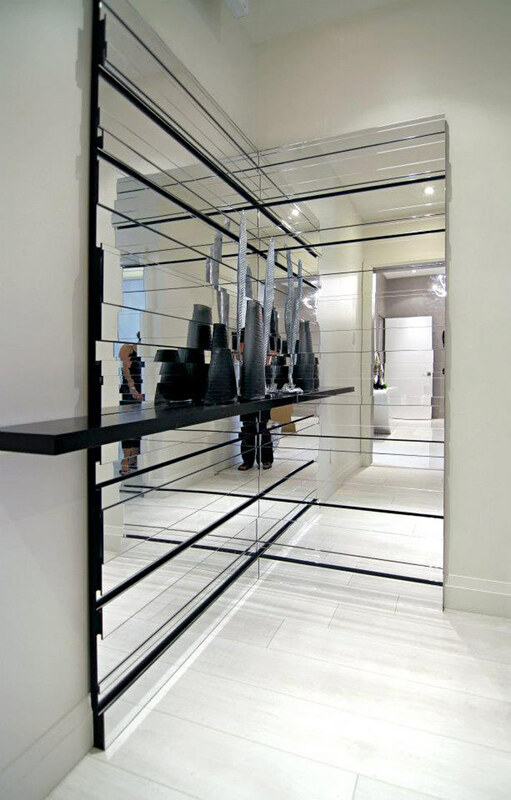 Another impressive feature of this space was the mirrored corner decor which we produced that was designed by Tomas Pearce Interior Design Consulting Inc. This mirrored design expanded the space in an exciting way while producing lots of sparkle and giving the impression of an additional corridor. 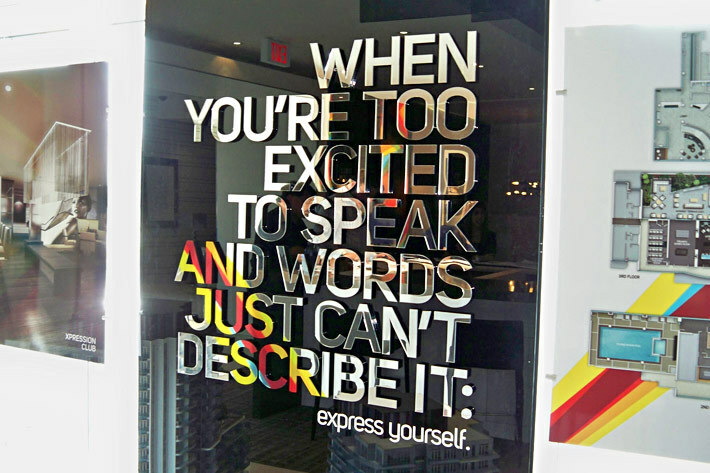 Powerful words are brought to life in a sleek and exciting way through the use of mirrored lettering. Vibrant colors mixed with black and mirror make an excellent team. 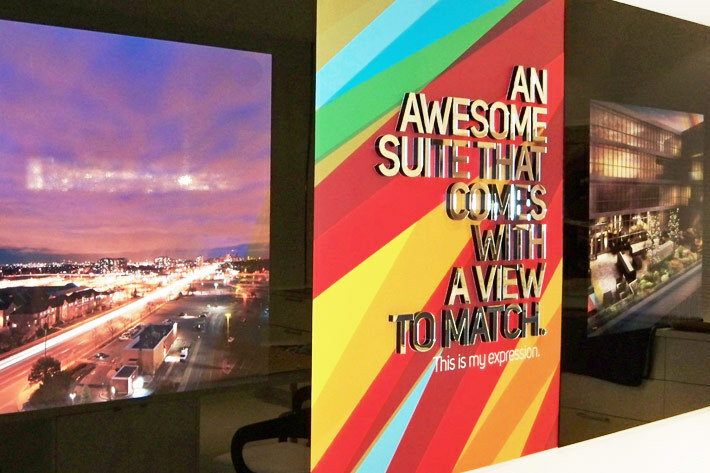 These reception signs stand out while blending in for signs with a truly effective and impactful visual punch.